"WORKINGMAN'S BLUES #2" was recorded early in 2006 for 'Modern Times', released in August of 2006. The live debut of "WORKINGMAN'S BLUES #2" in Vancouver, British Columbia during the opening night of the fall tour of 2006 was the second song from 'Modern Times' performed on stage. Altogether this song appeared in 12 of the 29 shows during that tour. During the fine European spring tour of 2007 "WORKINGMAN'S BLUES #2" was performed only once, in Birmingham, England. During the North American summer tour of 2007 "WORKINGMAN'S BLUES #2" was performed during the last eight of the 27 shows; and during the New Zealand and Australia tour in August 2007 "WORKINGMAN'S BLUES #2" appeared in six of the 12 shows. During the USA fall tour of 2007 "WORKINGMAN'S BLUES #2" was performed in 29 of the 30 shows. In 2008 "WORKINGMAN'S BLUES #2" was performed thirteen times during the (mainly Latin American) tour in February and March; and then fifteen times in eleven countries during the (mainly European) tour from May to July. The last of the ten European performances, in Ja�n, Andalucia, Spain, I had the extraordinary pleasure to see and hear for myself from the rail. I had hoped to experience it at least once during my ten day holiday in Spain, as I have listened to and enjoyed most versions of this gem on field recordings, and I sure am very glad to have witnessed now for myself such an outstanding version of this extraordinary masterpiece of a song. Seven more times "WORKINGMAN'S BLUES #2" appeared in North America from September 2008 to November 2008. In 2009 "WORKINGMAN'S BLUES #2" was performed eight times in Europe in the spring, and eleven times in the US in the summer. During the fall tour of 2009 "WORKINGMAN'S BLUES #2" appeared in fifteen of the 33 shows. The first performance of "WORKINGMAN'S BLUES #2" in 2010 was in March, during the penultimate of seven shows in Tokyo, Japan. The second appearance of "WORKINGMAN'S BLUES #2" in 2010 was two months later, in Greece, during the first show of the European tour. Six more times this gem was performed masterfully on a European stage in the following weeks, in Serbia, in the Czech Republic, in Italy, in Austria, in England, and finally as the finest song of Dylan's concert in Limerick, Ireland, where I had the extraordinary pleasure to be a part of the audience once more, after seeing this gem of a song already two years earlier in Ja�n. In the US "WORKINGMAN'S BLUES #2" was performed eleven times in the summer and fourteen times in the fall of 2010. The only appearance of "WORKINGMAN'S BLUES #2" in 2011 was in October, when Dylan chose to perform it in Rotterdam. 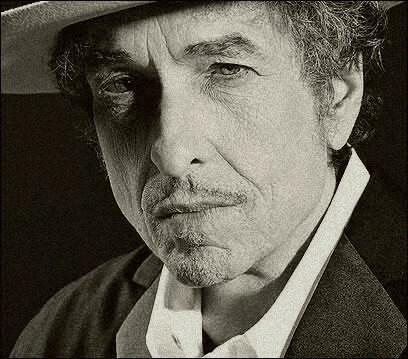 In 2012 it was not performed at all in concert by Bob Dylan, but in April 2013 "WORKINGMAN'S BLUES #2" reappeared with some new lyrics in Champaign, Illinois, with Bob standing at his grand piano, Donnie on pedal steel, Tony on standup bass with bow, and George on drums playing with hands. Almost a year later, in April 2014, in Nagoya, Japan, Bob Dylan performed a new arrangement of "WORKINGMAN'S BLUES #2", center stage, with even more new lyrics (for transcription see bottom of this page). A few days after that, the song was performed once again, in Osaka, Japan. In Europe, in the summer of 2014, this new version of "WORKINGMAN'S BLUES #2" appeared seven times in July, at first on three consecutive days in Munich, in Prague, and in Zwickau; then a few day later on three consecutive days in Rostock, in Flensburg, and in Aarhus; and finally during the first of the two Swedish shows, in Helsingborg. During the down under tour in August and September of 2014 "WORKINGMAN'S BLUES #2" was performed in eighteen of the nineteen concerts; and during the North American tour from October to December 2014 "WORKINGMAN'S BLUES #2"" appeared in all 33 concerts. In 2015 Bob Dylan chose to perform "WORKINGMAN'S BLUES #2" in all 28 concerts of his US spring tour; and during the European summer tour in the first 15 of the 19 concerts. Next, after more than three years, in October 2018, Dylan surprised the first two audiences of his long US fall tour with fine versions of "WORKINGMAN'S BLUES #2", both performed in Arizona.